Thinking back to my youth, I remember almost every new school year meant we were asked to write or talk about what we did over our summer vacation. Summer vacations in the old days almost always included a family road trip-carefully planned by my parents. Maps in hand, my parents loaded up the car and would take us on a yearly vacation to see a variety of sites in the state of California. Just to name a few there was a trip to Disneyland, a trip to see the giant redwoods, and maybe the biggest trip was a visit to all the Missions the state had to offer. I have been very remiss in keeping up with this blog, as I also manage the blog at my new studio. I have been working hard at moving our studio website over to wordpress, as iweb ( my original website builder ) is no longer being updated by Apple. Damn Them! Next I will be tackling this website, but in the meantime I thought I would update you with what I did over my “summer vacation” or I suppose I should say over the last year. A big part of my year has been filled with making sure our studio, which I would still say is in its infancy, is running smoothly and successfully. sfclayworks our “new” studio has been growing and flourishing during the past year. We started with only one class and we now have three, plus monthly community space membership all of which are full as we speak. Other big events at the studio are our new t-shirts that yours truly designed and finally got printed. sfclayworks was also commissioned to make some pottery for the San Francisco Opera World Premiere of Mark Adamos Opera-The Gospel of Mary Magdalene. Tickets to the performance and a back stage tour were part of our perks so we had the opportunity to see our pots in action. We also held our very first ceramics workshop with potter Ellen Shankin and we are quite pleased with how the event turned out. I think for a first go we can be proud of the fact that we did not lose our shirts and that we are now just a bit wiser as to how to organize our next workshop. We are already talking about who we might like to have as our next artist. Personal family issues and keeping the studio running smoothly has taken up the lions share of my energy and as far as my ceramic work is concerned it has really suffered since the closure of The Clay Studio. I have never really gotten out of my funk since I made the transition from studio holder to studio business owner. 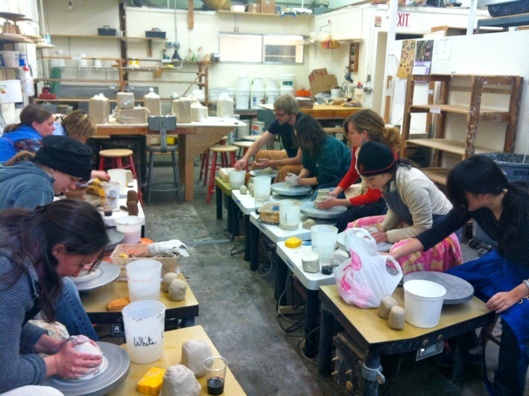 In an effort to remove myself from my everyday existence and to learn some new techniques, I headed to Sierra Nevada College in Incline Village, Nevada to take a one week ceramics workshop with the very talented artist Kristen Kieffer. One week of absolutely no responsibilities other than to learn some new things and make pottery all day long. It was nice to be free of the day to day activities that usually occupy my brain. The workshop has been good for me, I think it is the kick start I need to get me out of my doldrums. During the week we learned about stamp making, stamping, slip sponging, paper resist, slip trailing, and altering. I think my favorite pots from the workshop were my altered pots-a technique I knew about, but had not experimented with in a long time. It was a week of experimenting and since my return home I have been working on some stamped ware. Stamped ware, you say? Yes, stamped ware. Not sure how much I really like them, but I need to play. I think the class was what I really needed. Its hard to believe, but its been a year since leaving The Clay Studio. 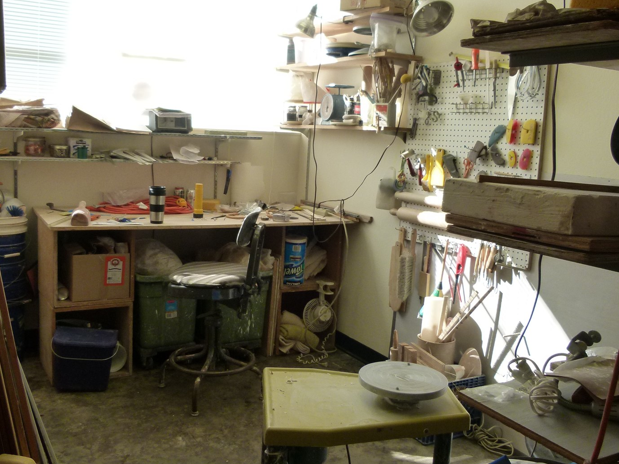 This month is the one anniversary of my new studio sfclayworks. After a great deal of hard work, our dreams have become a reality. The studio has been open to the public since January 2012 and we have been growing steadily. All of us at sfclayworks have worked hard to make this studio come together and we are very grateful for the support we have received from our previous clay community. Settling in at sfclayworks has been harder than I expected. There are lots of new distractions of running a studio, as well as life in general. I have been on a bit of a hiatus from making my own work as there is always something else to do. Family concerns have also been at the forefront and having ones mind in the right place to be creative has been difficult for me. Today I ventured in to do a bit of my own work and after the initial studio work distractions, I sat down and actually made a few pieces. I have to say that it was a good day-my beautiful new studio, good music, and a good mindset, setting the stage for a chance to once again enjoy the creative process……….. Believe it or not, Session Two is already over at sfclayworks and we are currently in the second week of Session Three . 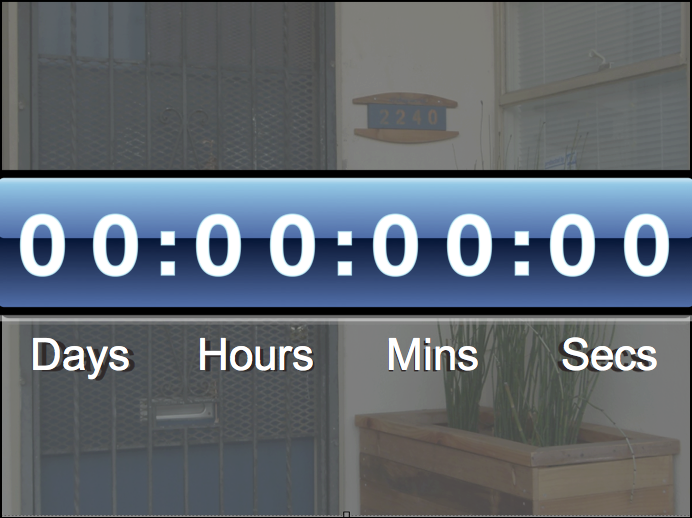 Time has been flying by this year, with the new studio, job, and added responsibilities in my life. 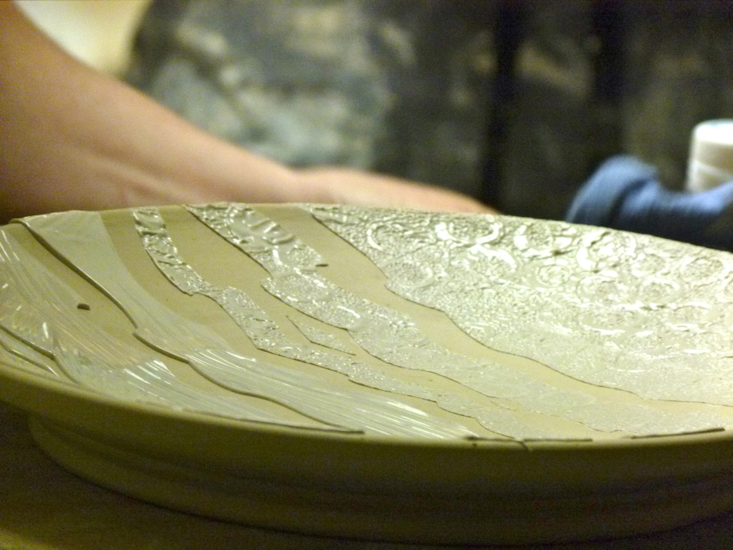 Since our last firing I have not had much time to make new work, but hope to get back into a groove very soon. Thought I would share some of my students creations, as they have been very busy. The students who did the project did an excellent job of challenging themselves and I am always happy when they stretch and try something new. During Session Two I got a bigger response to the project focused on the foot of our pots. Remembering a couple of old Studio Potter magazines that had a focus on the parts of a pot, I had the students put their attention on the choices they make when finishing off their work. Too often when we are learning the craft or I suppose I should say the art of pottery making, we settle in to the old standard foot we learned in our beginning pottery class. Now it was time for all of them to start making conscious decisions as to why they do what they do! They were asked to make five similar pieces and make a different foot on each piece. I am happy to report, they came up with some winners! Now they need to keep these new ideas in their arsenal of ideas for future works. 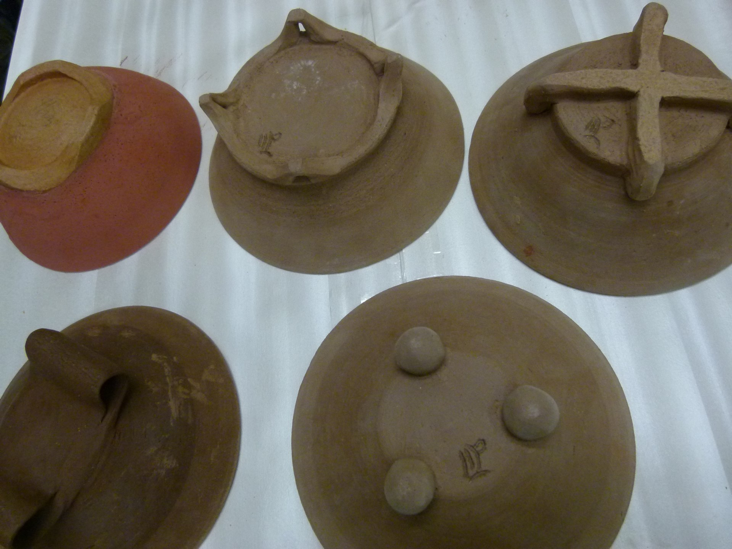 More importantly they need to keep the concept of experimentation within a basic form as an excellent tool for them to use as they move forward in the big wide world of clay. As I always tell them, it is through the “failed” works that we learn the most, something I often remind myself when I work on coming up with new ideas. Below are a few examples of what they came up with, and this session our new project is lips…..I look forward to their creative exploits ! Think some of the pots below might be community workers, but it gives a nice balance of ideas. Bow foot- Will it take the heat of firing? love the swirl! attention to detail! Been a while since I have updated my personal blog. 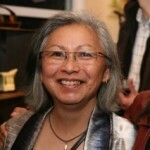 Besides this jfujiclayware blog, I have also been maintaining the blog at sfclayworks.com, the blog for my new studio. Somehow or other my desire to keep sfcw website current and vital has taken over my blogging energy. I also find that so much of the news is of crossover interest, that I feel like if you look at one blog you will know everything on the other. When I first started this blogging business it seemed a bit strange typing personal thoughts, and spreading them into the blogosphere, but in general the words seem to flow and I find it to be a good way to clear my thoughts whether anyone reads my website or not. The biggest news these days is that we recently fired up the new gas reduction kiln at sfclayworks and I am happy to report we managed to reach cone 9+ in approximately 10 hours. We started the firing worried we would not reach temperature at all as we had previously done a bisque firing and had trouble reaching bisque temperature. 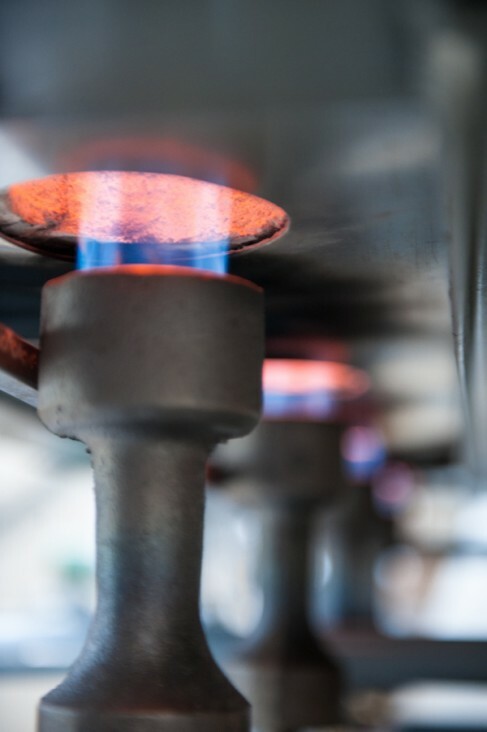 After consulting with the local kiln installer and also with our kiln builder, we changed the orifice size on our venturi burners so that they are a larger size to accommodate our current level of gas pressure. We also removed a red plastic plug that was left in our gas line by our kiln builder. Hmmm, I suppose that gas line obstruction was a HUGE problem with our original bisque fire fiasco. Hard to believe, but only 5 more days before the arrival of our gas reduction kiln. The kiln was ordered at the end of 2011 after we made the decision as to what we wanted. We are purchasing our kiln through Leslie Ceramics of Berkeley, CA. During the month and a half since we decided what to purchase, our kiln was being constructed in southern California by Ceramic Services. Last week the gas line was dropped in through the roof and PGE is on tap to upgrade our meter very soon. We still need to run the vent up, bolt the kiln down, do the final gas hook up, do some roof repairs and maybe have a pizza party. 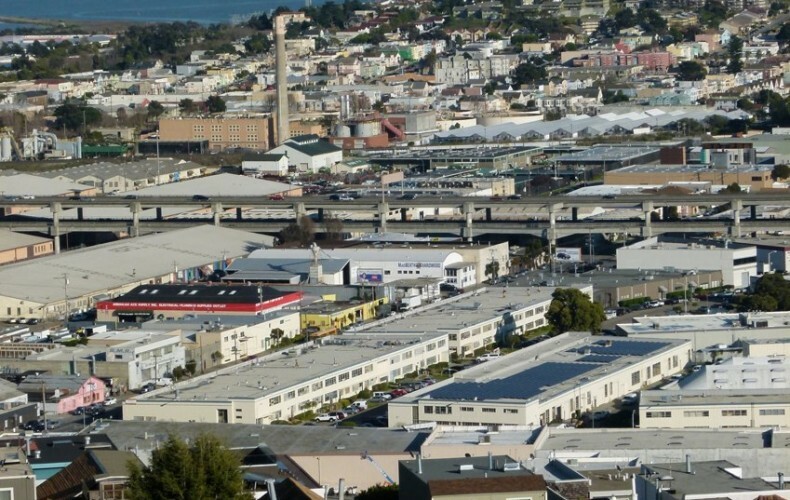 Its hard to believe, but after only two and a half months since our departure from The Clay Studio, sfcw opened its doors to students and community studio members. We have all been hard at work setting up the studio space, and based on the reactions from a variety of students and community space members, everyone seems to be very happy with sfclayworks. Our public debut was officially January 17, 2012 when we held our first class of continuing students. It was a reunion of sorts as many of the students were formerly at The Clay Studio, but we also welcomed some new faces. I am happy to once again have the opportunity to share my love for clay. Everyone was hard at work getting their fingers back into clay as you can see in the photo above. There will be a gallery of images coming soon. The carpet is finally gone and the boxes, though not completely undone are finally getting unpacked. Prior to unpacking, I spent days pulling and scraping at the carpet which was truly kicking my ***! My sample section came out with not too much trouble, but the rest of the floor was a struggle. All I have to say is that I am glad that job is done. Sorted through my clays and started slaking my next bucket of recycle, also brought my wheel in and set up my peg board tool rack. If I could only keep it as neat as it is now…..
Might be time to start making some work soon. I can see already it is going to be a balancing act trying to figure out how to make sure I carve out some time to make some work for myself. There is still lots of work to do at the new studio, but little by little, it is getting done. Lot of changes in my life these days. Since the afternoon I spent waiting for PGE to show up for the final electrical read at 61 Bluxome Street, I have not been back to The Clay Studio ( PGE never showed by the way!). 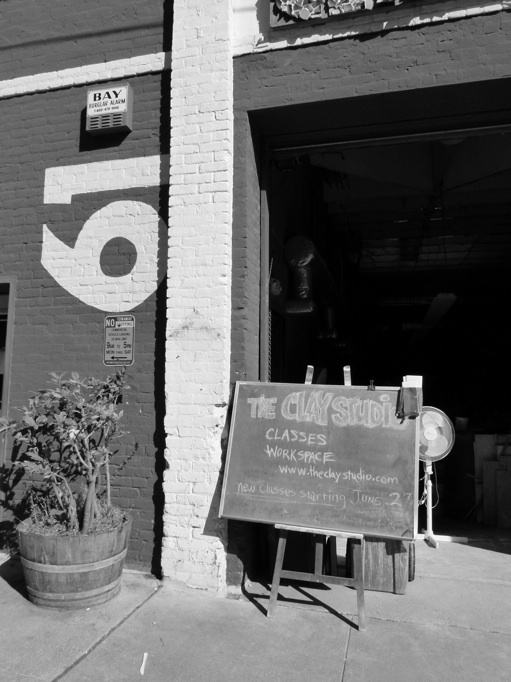 The Clay Studio has been a major part of my life for many years and I think it will take some time before my level of enthusiasm for our new space takes hold. Spent tonight sitting in my new space contemplating how I want to set things up. The room has incredible natural light, which is a first for me when it comes to studio spaces. My new space is fairly far from the kiln, but I am hoping the natural sunlight and fresh air will make up for the inconvenience. It has been hard for me to choose a space, but I have, and now I must decide what to do with the carpet on the floor. Right now it is covered with plastic and thermoply sheathing. Took a small try at tearing up the carpet tonight. It will be a bear! If I do decide to tear the carpet out, it will just require a great deal of elbow grease. Rather than use chemicals, I read on the internet that hot water works , so I tried it and sure enough it immediately turned the yellow glue white and softened up a bit. Going to take lots of patience and hard work…. 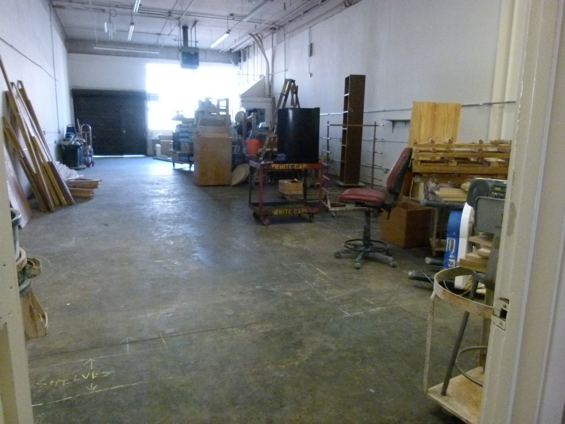 The photo above is of our new studio-sfclayworks.com before we started on any of the build out. The photos below show some of the progress we have made in the past week or so. Last weekend we had a big building party and lots of work got done! All the walls are in except for a few panels, the electrical is around the space, and members are slowly moving into their spaces. Still lots of work to do….. maybe some of you would like to join our next work party? photos go here? How to make gallery? I can only speak for myself, but I will miss The Clay Studio. I will miss the sense of community, but most of all I will miss John. Do not get me wrong we had our moments. Sometimes we did not get along, but the majority of the time we had a friendly banter often perceived as an “old married couple”. Though an occasional grouch, ( I guess I was also) John was the one person who always believed in me. He helped me have faith in myself and my work when no one else did. I will miss his support, and those never ending glaze and firing discussions we had which usually ended up with us reaching for the Hamer and Hamer ceramics dictionary. Below are a few shots of 61 Bluxome and music to go along with the slide show if you so desire. Bird alone by Abbey Lincoln is one of my favorite songs so I have added it here to go along with the slideshow. The slideshow will appear here ….. need to upload the photos and do a gallery. The show is now officially over!!! Check out the show slideshow that I added to the site!!! I want to thank all of you who showed your support by stopping in to see the show. 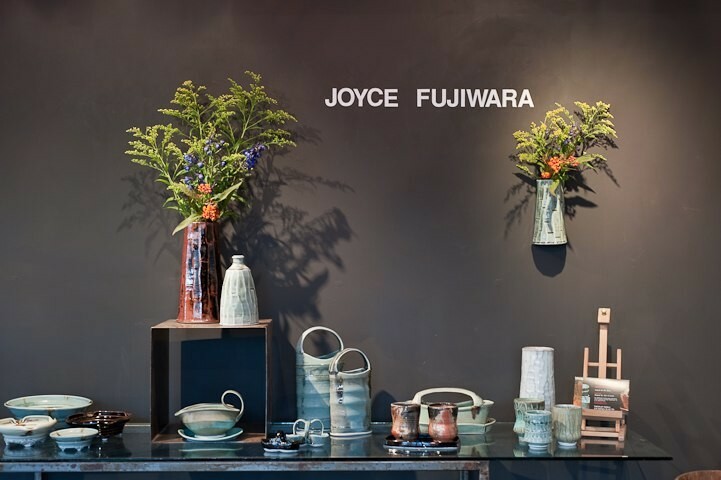 Joyce focuses her attention on making beautiful handmade utilitarian ceramics that enhance our daily lives. She is always striving to achieve excellence with every piece that she creates.